Sorry, currently not available. Contact us to get on waiting list. A rapid flight at a surprisingly reasonable cost is what we can offer fighter jet fans in the Czech Republic. At only a few kilometres from the German border, the Czech Aero L-39 Albatros is ready for boarding in Plzen. The jet used to be the standard training aircraft of every Eastern Bloc Air Force – and up until today serves numerous armies. Because of its agile and versatile flight characteristics, the L-39 Albatros is still used there as a training jet as well as a light ground attack aircraft. The relatively inexpensive maintenance of the L-39 Albatros fighter makes it a quite cost-effective model to fly in comparison with other aircraft. 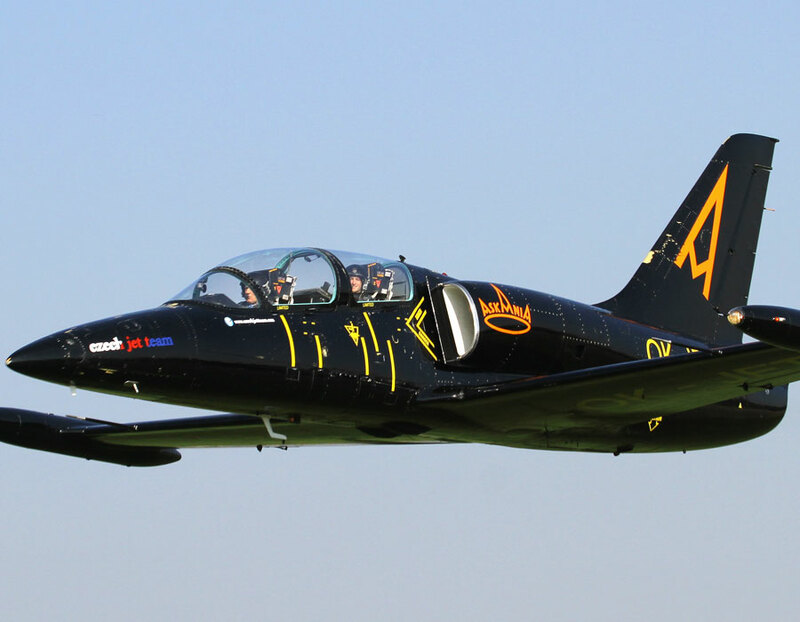 Every MiGFlug customer experiences a flight with the L-39 Albatros as a thrilling and affordable experience and Air Force pilots anyway swear by it. Real Dog Fight Maneuvers – Control an L-39 Albatros Yourself! What is nice to watch at airshows can indeed be a lifesaver during combat: Military pilots from all Air Forces train manoeuvres like loops, rolls, Immelmann-turns, split-s, inverted flight, turns and cuban eights to be familiar with the capabilities of the aircraft in every situation. MiGFlug clients can experience aerobatics directly from the cockpit – because of the extreme G-forces, the limits lie with the passenger and not with the jet. If you like to take matters into your own hands, you are at the right place with MiGFlug. After adequate training on the ground and demonstration in the air, you will be in control of the L-39 Albatros and will fly the aerobatic manoeuvres yourself – at a breathtaking speed! The Day of Your Life – on a Red Army Airbase! Until the end of the Cold War, the huge airbase in the Czech Republic was home to multiple MiG-21 Squadrons. At times more than seventy-five MiG-21 supersonic fighter jets were stationed there. This aerodrome of the Red Army is now used for flights with the L-39 Albatros jet aircraft. For today’s circumstances, the airbase is quite oversized and thus ideal for an aviation excursion. You can have a look at the old barracks or watch L-39-jets currently under restoration. What turns a good pilot into an excellent pilot? His experience and the number of flying hours. Your personal pilot with MiGFlug in the Czech Republic is profusely equipped with both. As a former Air Force pilot and test pilot of Aero Vodochody – the manufacturer of the L-29 Delfin, L-39 Albatros and L-159 Super Alca, flying at raging speeds has become a daily occurrence. An experience well-reflected in the pilot’s trustworthy and calm disposition – on the ground as well as in the air. You wouldn’t want to entrust yourself to anybody else while performing the so-called “low pass”. This stunningly low flight – only a few meters above ground – is mastered only by few experienced pilots. Your L-39 pilot is one of them. A flight with MiGFlug in the Czech Republic can be ideally combined with a few relaxing days in Bohemia. The historic centre of the city of Pilsen, with the St. Bartholomew cathedral and the many cosy restaurants with traditional cuisine, welcome you. After sundown, it’s not time to go home yet: The city transforms itself and Czechs go out and ensure a vibrant nightlife. A further convenience: Due to the advantageous exchange rate for the Czech Koruna you’ll have a great time in Pilsen and Prague without spending too much money. Boah, this jet fighter flights are incredible! I could do much more than expected. (Very!) low pass, manouvres like loopings and rolls, I could even control the L-39 aircraft. Best was low level flying just a few metres above the ground, at a speed above 700 km/h. 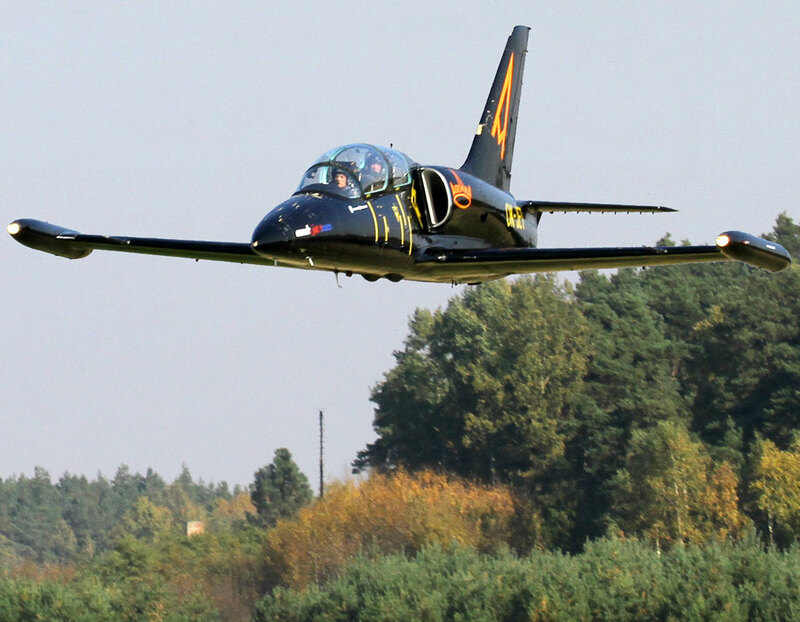 I can strongly recommend to book the Czech L-39 Jet Flight. Thanks a lot for the perfect organization! Next one will be a supersonic flight with the MiG-29 Fulcrum in Russia! 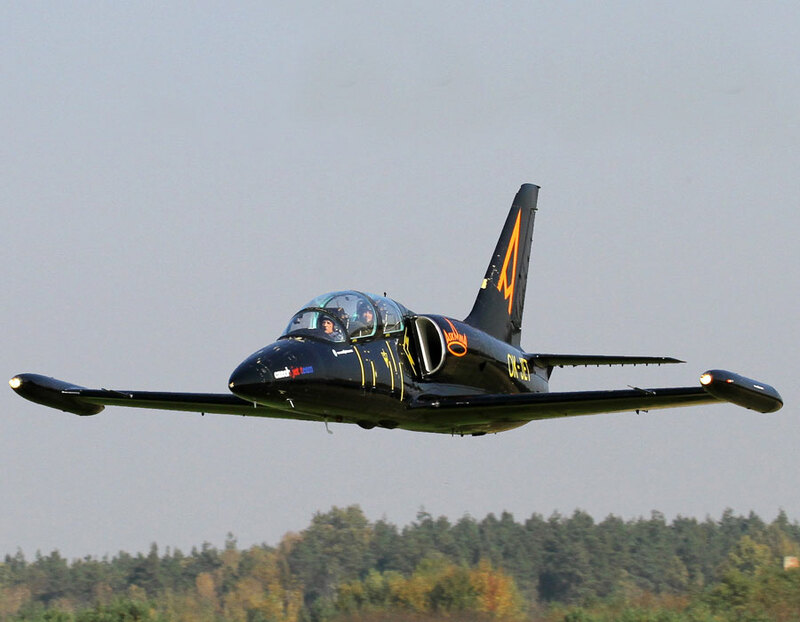 Had a truly fantastic jet fighter flight adventure in a Czech built Aero L-39 Albatros. My next one will be MiG-15 or MiG-29 supersonic flight!!!! Ready for your Czech Fighter Jet Adventure? Complete the booking form and you will hear from us shortly! The best gift for the best person in the world – flying an Air Combat against yourself?